Want the bottom line truth about having and keeping a healthy,young, fit body? The first thing you have to do is to get in control of the mental mechanisms that drive all of your behaviors and choices. will create a healthy, young, fit body. Our Nutritional Products give you an important advantage. 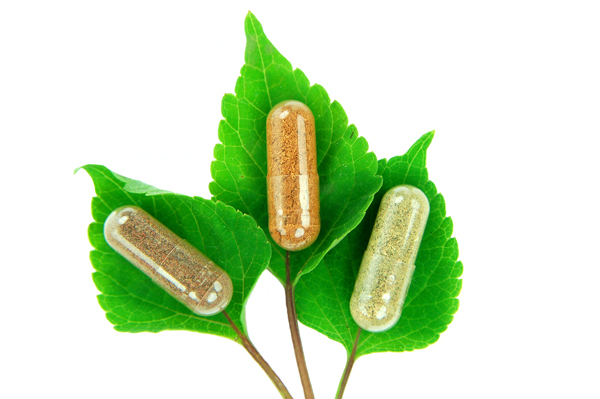 We use special proprietary combinations of nature’s ingredients to create supplements to help keep you healthy, young, lean, and keep your metabolism burning brightly. Everything starts in your mind before it becomes real in your life. The only way you will make the right eating choices every time, and get healthy activity and exercise each day is if you eliminate mental self-sabotage. 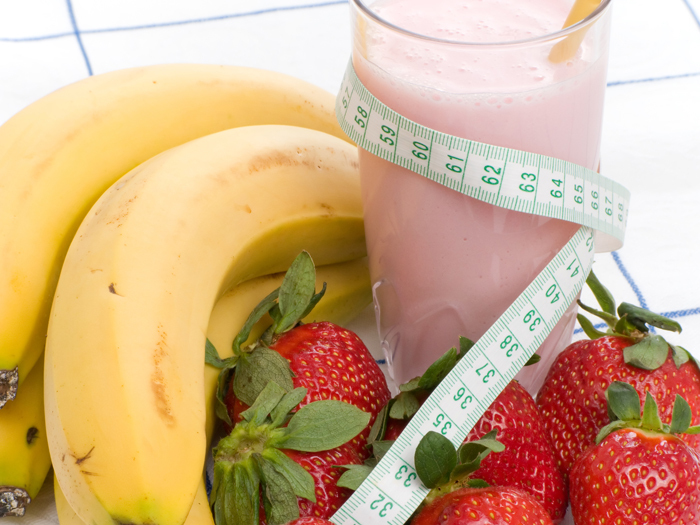 With Skinny Life you can control those behaviors and habits that drive you to overeat. because you’ve discovered the power inside of you! foods that love you back! Replace bad snacking with good snacking! 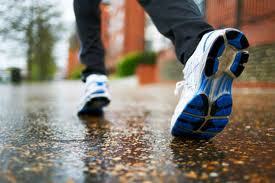 Never again neglect your need to have healthy movement in your life. Our program awakens your love of fun, natural movement! You won’t be able imagine ever being without it again! Change Your Self-Sabotage programs for good! Learn how to eat, cook, and move! Miracle foods that you want to be eating! Skinny Boosts twice a week give you science based facts on what these foods are and why the can help you create the body you’ll love! Skinny Mini’s- Short 2 ½ minute audio affirmation sessions to use throughout the day. Listen before lunch or after a stressful day to feel good about staying in control. Log your feelings and victories! 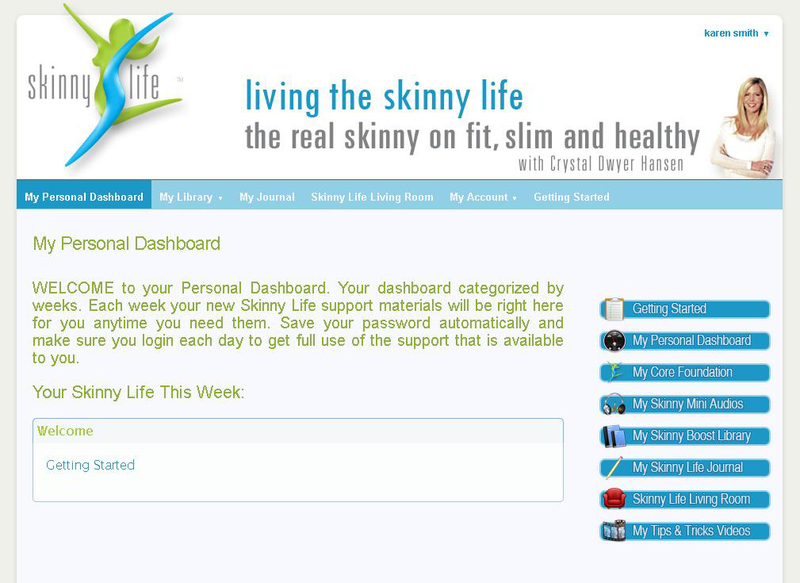 Skinny Life Online Journal- journal your thoughts right in your own dashboard to track where you are on your journey to health and fitness. We all grow stronger by sharing our triumph and concerns and by supporting each other. If you want to live with a clean, fresh body you don’t just take a shower once! take hold. A mental program that puts you in control of your choices and helps you put your health and fitness first, easily and naturally. In your TOTAL LIVING YEARLONG COACHING PROGRAM MEMBERSHIP, Crystal will be your virtual guide for an entire year to transform your health and body permanently! Crystal’s fun video tips and tricks - twice a week showing you how to eat, cook, and move the Skinny Life way. Skinny Boosts - twice a week give you science based facts on what these foods are and why the can help you create the body you’ll love! Skinny Mini’s - Short 2 ½ minute audio affirmation sessions to use throughout the day. Listen before lunch or after a stressful day to feel good about staying in control. Skinny Life Online Journal - journal your thoughts right in your own dashboard to track where you are on your journey to health and fitness. Wear a daily reminder of your commitment to yourself! You’ll receive your own stylish Skinny Life MIND-EAT-MOVE bracelet. It will be right with you to remind you of your own personal commitment to living the best healthy, young, fit life possible. You can add our chic milestone bracelets as you reach new milestones to help you celebrate your victories! I’m living the Skinny Life at 50 years old, With Skinny Life I’ve never felt better and never been more fit. 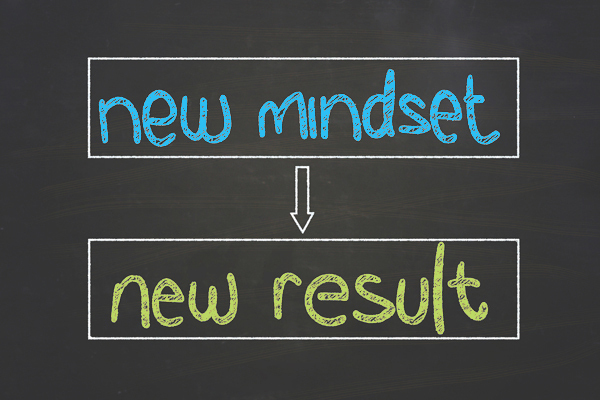 My consciousness and mindset now are such that I believe my best years are ahead of me. I’ve had an epiphany and it’s changed my life. I feel great and hope you can all feel this way. I’m very happy with the Skinny Life. Before I started Skinny Life, I had been 15 lbs. overweight for the last 4 years, I had low self-esteem…did not feel or look healthy. My clothes didn’t fit me and I cancelled social events because I felt ugly and fat and had nothing to wear. My problem was I loved to cook but used lots of pasta and cheese and wine! 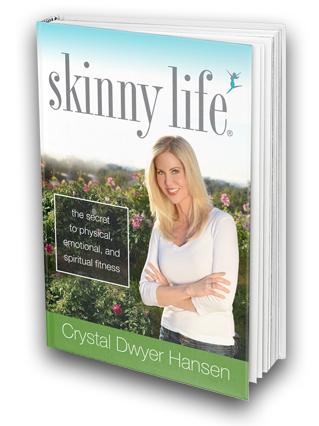 The most impactful part of Skinny life for me is listening to the coaching and meditations. When I start that day off that way… everything just kicks in, because I am concentrating on Me and absorbing Crystal’s positive messaging. I have lost the 15 lbs. in two months and feel fantastic! In fact… went “Shopping in my closet this week” and had a ball, because everything fits! I now have better focus… getting everything in life organized (my husband can’t believe it) My emotional relationship with food has changed. Now I only WANT to eat gorgeous, fresh, organic foods that are good for my body. It’s a whole new lifestyle. I’m not craving the bad stuff. I cut out all white products….flour, pasta, potatoes. I’m drinking water with lemon/8-10 glasses a day. I’m Using Stevia and blue agave as sweeteners and I’m planning my meals consciously to be healthy. And… my husband is eating healthier too, which is a great by product. Thanks Crystal, for making this possible! I just wanted to check in with you. I love the program. The audios make it effortless to get into a subconscious (not sure if this is the right word) state. I go really deep fast. You are brilliant! I haven’t taken my before pictures yet but I need to fast! I did the program really well for about a month and lost 10 lbs.! Even when I stopped doing it for a bit the great things is the weight that I lost didn’t come back. I just stabilized. I have started listening to the CDs again to get back full force on the program because it helps so much! I love the emails that you send are very helpful. Thank you for all of your help. I really feel like that I’m changing! I haven’t done any binge eating in the last few days; my energy and my mood are phenomenal! I’ve been all smiles for days. I’m about to listen to the hypnosis before bed. I listen to the coaching and hypnosis before work. It makes me feel amazing! I’ve lost 15 pounds so far! I thought that listening to the hypnosis would just help me stop binge eating but it’s SO much more than that. It actually propelled me to change my life. I seriously have never felt so awesome! I wake up energized, my mood is brilliant, I had the best Valentine’s Day ever because I really felt the self-love. I just wanted to touch base with you and let you know how the program is going. So far, I’m loving it! I feel so many great changes in my mental out-look and the way I see things just after 1 week, not only with my health but with my life in general. My mood is much better, and I’m not stressing out as much as I used to. I love listening to the coaching when I walk my dog. They hypnosis is great too. I love all the affirmations! Regarding the supplement s, they are wonderful! The shake is tasty and filling like you said...I have it with a piece of sprouted toast in the mornings. It’s so convenient and easy for me considering my busy schedule. I don’t know if it’s the supplements or the changes in my eating habits, but I do have cleanses…it’s the most gentle cleanse that I’ve used so far. I’m taking the proper steps in changing my habits for the better. It’s a marathon, not a race…and I’m feeling good about the process and I don’t feel so much guilt when I slip up a little. Overall, I feel great mentally, and I am working on the physical part and on getting more movement into my days. I feel very blessed to be on your program, and I am so very thankful for all that you are doing for me. Your program is life-changing.